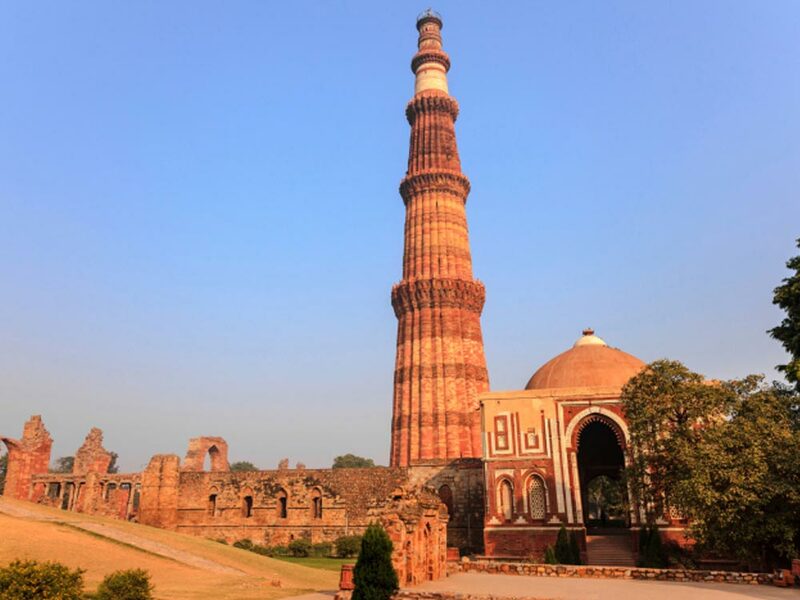 Qutub Minar: This monument is the tallest monument made of iron in the world and it was built in the year 1192 by Qutab-ud-din Aibak. This tower is five-storied and the area of this monument is surrounded by a lush green garden. It is built with iron, red brick and sandstone. This monument is the oldest monument in Delhi and in spite of being hit by lightning twice, it has maintained the glory the same as before. The iron pillar is the main attraction of this Complex of Qutub Minar besides Alai Minar and Tomb of Iltutmish. It is the 2nd largest Minar of India and holds an important place in global history too. Mysore Palace: In Karnataka, Mysore Palace is one of the major places of attraction in the city which is visited in large number by national and international tourists annually. This attractive palace was built in the year 1912 and it was designed by Henry Irwin, the famous British Architect. At present this three storied building has been converted into a museum and tourists are open to visit this palace during any National Holiday. For the visitors, this palace remains open from 6 am to 9 am and from 3.30 pm to 6.30 pm. The Indo Saracenic style of architecture is the main attraction of this palace which was home to the former Mysore royal family. 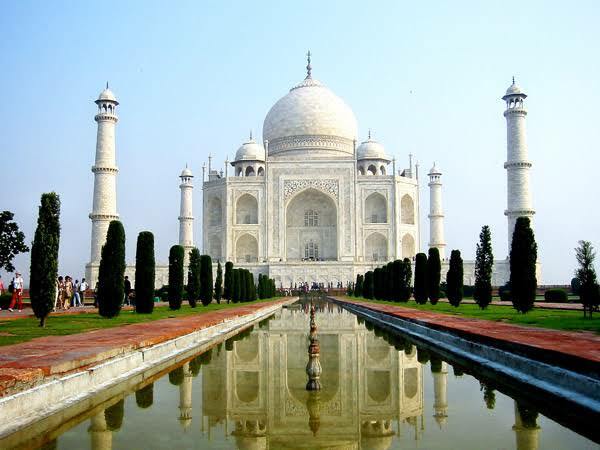 Taj Mahal: Taj Mahal is one of the seven wonders of this world. This work of art shows how rich was the architecture excellence during the Mughal Dynasty in India. Taj Mahal is the tomb of Mumtaz, third wife of Shah Jahan. The entire construction is made of white marble and the work on the walls is extremely delicate, fine and attractive. Taj Mahal is located in Agra, Uttar Pradesh on the bank of River Jamuna. The beauty of this monument is capable to enthrall everyone who visits this place. If you are here then do not forget to view the sunset in front of the Taj Mahal, the view is outstanding. Hawa Mahal: Once you are in the Pink City of India, Jaipur, then you should not miss to visit Hawa Mahal. This attractive construction was framed by Maharaja Sawai Pratap Singh in the year 1799. This palace is also famous as the “palace of winds”. This palace is of five-story and the entire palace is made with excellent quality pink sandstone. It is surprising to notice that there are 953 jharokhas in that entire palace. It is always suggested to visit Hawa Mahal between Octobers to March for a great experience. 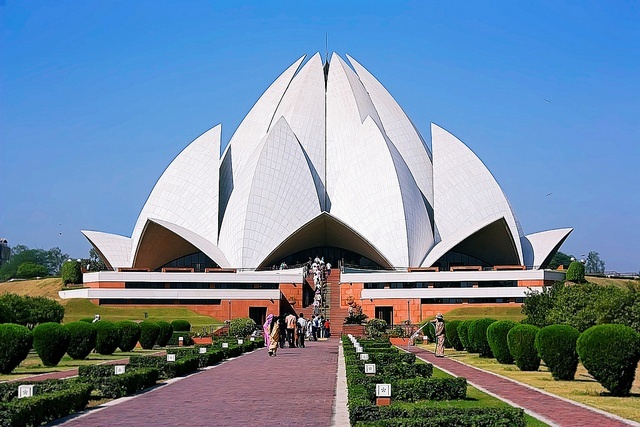 Lotus Temple: Lotus Temple is located in Delhi at Mandir Marg South Delhi. This temple is the built in the shape of a half-opened lotus and hence this temple is named as lotus temple. This temple is made with white marble and 27 lotus petals can be observed here. This temple is also being famous as Bahai Temple. The temple is surrounded with nine pools and there are nine doors which are opened in different directions. The design of this beautiful construction was done by the famous Canadian Architect, Fariborz Sahba. Maintaining silence is important when you enter the temple. Sanchi Stupa: This stupA sculpture is located in Sanchi, Bhopal. Sanchi is a village where Buddhism is followed and this village is about 52 kilometers from Bhopal. The inspiration behind these stupas was the famous Mauryan king, Ashoka. Among all stupas, sanchi is the most significant one and the semi-circular look of this stupa is really attractive. Sanchi has been declared as the world heritage site by UNESCO. This place is popular among tourists from all around the world and especially among the followers of Buddhism. Harmandir Sahib: Among highly visited and recognized monuments in India, Harmandir Sahib or Golden Temple in Amritsar is definitely one. 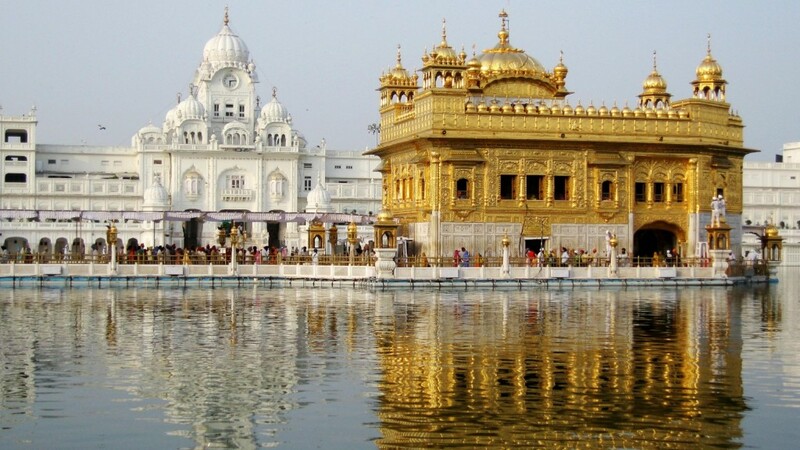 The holiest shrine is Sri Darbar Sahib and for the people of Sikh religion, this is the most famous pilgrimage. This pious destination is not only popular to the Indian citizens but also people from other parts of the world too visit here. Brihadishwara Temple: In Thanjavur, Tamil Nadu Brihadishwara Temple is the most popular one and this temple is also famous as Peria Koyil or Big Temple. This temple is dedicated to Lord Shiva. During the Chola reign, this temple was built. This temple is also famous as Once you visit this temple you will surely get attracted towards the Dravidian culture and architecture. Victoria Memorial: Among the tourist’s spots of Kolkata, West Bengal, Victoria Memorial is considered one of the major one and visited in large number of foreign tourists every year. This memorial is dedicated to Queen Victoria. This is a museum too as here you can notice huge collections of sculptures, manuscripts and paintings of the British Reign. Charminar: Sultan Mohammed Quli Quatab Shah built this minar in the year 1591. This popular establishment is located in Hyderabad and till date, it narrates the history of this state. This structure is supported by four pillars on the four sides and hence this minar is known as Charminar. If you are in a mood to explore the popular historic monuments of India then ensure you have the above 10 in your list. We are proud to have such architectural excellence in our country India. This entry was posted in Tourist Attractions and tagged historical monuments of India, india monuments, monuments of India. Bookmark the permalink.